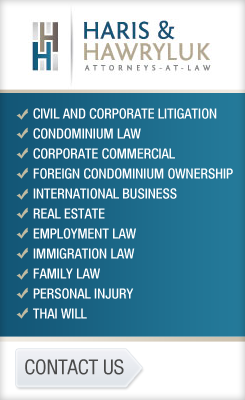 All Thailand-registered companies and partnerships are subject to corporate income tax pursuant to Thailand’s Tax Laws. Other entities such as joint ventures are also subject to corporate income tax. Similarly, foreign companies and other entities doing business in Thailand or receiving income from or within Thailand are also subject to corporate income tax, with possible exceptions under tax treaties. Reliable and trustworthy accounting services Phuket based firms in preparing and filing their corporate income tax reports every year assist both local and foreign owned companies. By virtue of Royal Decree issued on December 14, 2011, corporate income tax rates will be reduced as follows effective and applicable for the taxable year 2012. The standard rate of corporate income tax applies to all Thailand incorporated companies and to foreign incorporated companies carrying business in Thailand, through a registered branch office in Thailand or a deemed permanent establishment in Thailand. The 30% original tax rate for juristic companies and partnerships is reduced to 23% for 2012 and 20% from 2013 onwards. On the amount of net profit up to Baht 150,000, tax rate exempt from 2011 onwards. On the amount of net profit from Baht 150,000 to Baht 1 million, tax rate is retained at 15% all throughout. On the amount of net profit over Baht 1 million, tax rate is reduced to 23% for 2012, and 20% for 2013 onwards. On the amount of net profit over Baht 3 million, tax rate is reduced to 23% for 2012 and 20% for 2013 onwards. Stock Exchange of Thailand (SET) listed companies will have a reduced tax rate of 23% for 2012 and 20% for 2013 onwards. Market for Alternative Investment (MAI) listed companies will have the same 20% tax rate for 2012 onwards. On gross income for the transport of people collectible in Thailand, the tax rate is retained at 3%. On gross income for the transport of goods collectible in Thailand or outside Thailand, the tax rate is also retained at 3%. Lastly, profitable association and foundations are subject to corporate tax rates based on gross receipts, of 2% or 10%. A company subject to the Thai corporate income tax normally can choose any twelve-month period as its fiscal and tax year. A large majority of companies doing business in Thailand choose the calendar fiscal year as common accounting services Phuket practice. Most companies use the accrual basis of accounting in Phuket for purposes of the Corporate Income Tax. But there are certain types of companies- notably those engaged in a service industry- may elect to use cash basis accounting.